We develop virtual reality game & app using different technologies. They all have their own pros and cons. 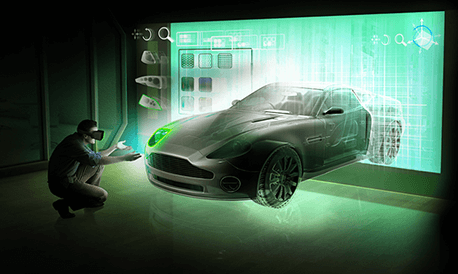 We select the proper one for your required/desired virtual reality application. With the rapid growth in Virtual & Augmented Reality, there is vast increment in virtual or augmented applications. We believe in maintaining customers relationship. Even after developing end product we help you acquire required knowledge for it. We also provide maintenance support for products. Above mentioned was the development procedure. After complete development & delivery of product, we help you learn it and support & maintenance. So, Join us to get your required virtual reality app & game developed. Virtual reality (VR) is a computer technology that uses virtual reality headsets or multi-projected environments, sometimes in combination with physical environments or props, to generate realistic images, sounds and other sensations that simulate a user's physical presence in a virtual or imaginary environment. A person using virtual reality equipment is able to 'look around' the artificial world, and with high-quality VR move around in it and interact with virtual features or items.